Happy Red Wine Day everyone! What follows is a list of our favorites for this most auspicious holiday. Enjoy. It's not unusual for a vineyard and winery to have been involved in the business for many years at a stretch. It's also not unusual for these endeavors to be steeped in tradition and culture. What does seem wild is that the grapes culled for Beronia are harvested from within a 10km radius and selected by one man. Winemaker Matias Calleja. This type of quality control is enough to boggle the mind. The Reserva is a beautiful deep garnet with a cherry rim. The nose is sweet and the palate is layered. Included varietals are 94% Tempranillo, 4% Graciano and 2% Mazuelo. It is aged for an eighteen-month minimum before it hits retail shelving. Best served between 59 and 62.6 degrees Fahrenheit. Pairs well with red meats, game and roasts. You may purchase the Reserva from WineDirect. Co-Founder Fred Cline began life developing a strong work ethic and an oddly profitable appreciation of soil. It was when he joined marital forces with Nancy Bunting, that he began working for himself. The two desired to produce Rhone-style wines. They did this by reviving older vines. Some of these were over a century old. 1993, the Cline's transferred their winery to a 350-acre ranch in Sonoma County. Merlot, Chardonnay, Pinor Noir and Syrah were planted. A boat-load of work ensued, to include opening an 1853 farmhouse for tasting (wines, not the farmhouse). By now, the Fantastic Winery Duo own many productive acres which, span Sonoma County. They also have real estate in Oakley and Tehama, along with a handful of businesses. We are thinking that the two are no doubt, remarkably occupied! When we knew that we had the Cashmere products coming, we knew that they were special. We just didn't know why. It's not just the taste of these products, which, has been delicately crafted. The awesome expands beyond the cork and foil. 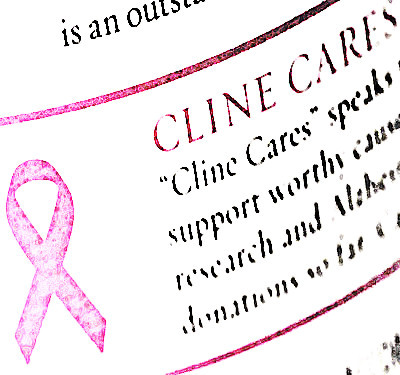 Because of the Cashmere products, Cline Cellars has been able to donate over $270,000.00 to Living Beyond Breast Cancer. 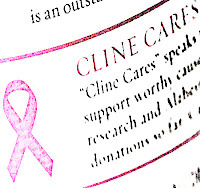 You may purchase Cline products from their website. Listed below. Nipozzano is a frescobaldi company, which, has a rich 700-year wine history. Family history is intertwined with the history of the land, in Tuscany. However, the Frescobaldi family history actually began three-hundred years before that. They were bankers who earned the title of treasures to the English crown. This Chianti Rufina is an award-winning wine and is closely associated with the Castello di Nipozzoanno terrior. It is aged for 2-years in barriques. Then, 3-months in bottle. Included varietals are Sangiovese and complementary grapes (Cabernet Sauvignon, Colorino, Malvasia nera and Merlot). tastes of non-discernible sweet with a slightly peppery finish. Pairs well with barbecued meat, beef stews and aged cheeses. We found a bottle for sale here. It costs $18.49. Nice. All of Villa Pozzi's product is harvested by hand, either at night or in the early a.m., to avoid bitterness or off-flavoring. Original construction began in 1860. Then, rebuilt in 2000. The Pozzi's are a 4th generation wine producing family. 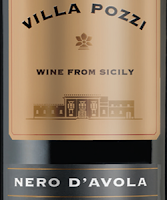 The Nero d'Avola is made with 100% Nero d'Avola and is one of five popular varietals for Villa Pozzi. It is deep red in color and has a sweet, floral nose with hints of other spices. Pairs well with rich pastas and grilled meats. You may purchase Nero d'Avola online. The prices varies from $5.99 to $25.98. 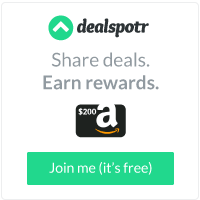 This depends upon the size and year purchased.